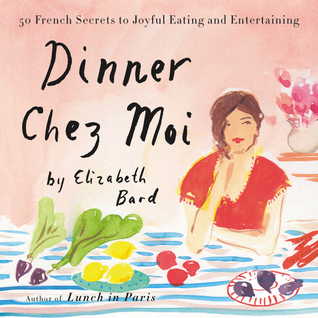 I loved Elizabeth Bard’s memoirs, Lunch in Paris and Picnic in Provence, so I was very excited to find out she had a new book being published this year. I finally managed to get my hands on the book, but it took me ages to get through it. Its a simple enough book, although the premise is a little muddled. Its too simple to be an eating manifesto of the French. Although there are recipes. Bard provides 50 “secrets” of a French kitchen. Each secret is numbered, accompanied by a recipe and some thoughts of how that secret has changed her life. The illustrations are pretty, but I found the book to be lacking in so many ways. It was just so sparse. Maybe its meant to be a beginner’s guide, like Michael Pollan’s simplied Food Rules? I didn’t really learn anything new from the book, nothing I didn’t know before. I do want to try a couple of the recipes from her book once the weather cools down. The yogurt cake and the madeleine cookie recipe. I think the downside for me, was that this book borrowed very heavily from Susan Herrmann Loomis In A French Kitchen. 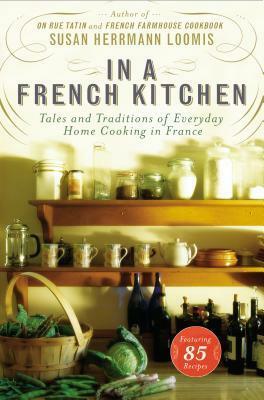 This book provides some wonderful insight, thought and history into a typical French kitchen. Whereas Dinner Chez Moi is an introductory course, In A French Kitchen is the full semester. Both books provide virtually the same information, one is just much more detailed. Both would make wonderful gifts for your favorite Francophile. A bunch of people talk about love and birds, specifically magpies, and act like real selfish idiots trying to figure out what love really is. Well…its not a perfect summary, but its the best that I can do. 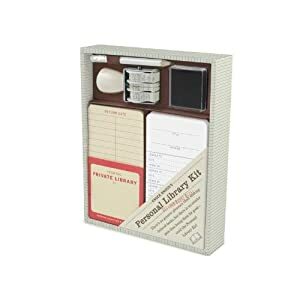 I was really disappointed with this collection by Daniel Handler. I love The Series of Unfortunate Events and The Basic Eight, but this book just seemed to lack the je ne se quoi of the previous works. This is definitely not a cohesive novel. There is no intro, conflict, climax, resolution. Its more like a collection of vignettes with overlapping characters and themes. Although I never grew attached or liked any of the characters so I didn’t recognize them when they popped up 3 stories down the line. Handler doesn’t actually use many adverbs in the book except for the chapter titles & for one character towards the end. 36 mentions of Magpies + 67 mentions of birds + 13 mentions of misc birds = 136 mentions of aviary creatures in 17 chapters. I should have kept a count of how many times love and the volcano beneath San Francisco were also mentioned because those were the four frequent concepts in all of the stories. Handler’s writing is somewhat disjointed. It’s very “hip” and somewhat pretentious. I think I actually reacted to this book the same way I reacted to Franny and Zooey (which was not a good reaction). The writing felt smug, it didn’t feel forced, but it didn’t feel natural either. There was just something off about this novel. Its like there was a volcano underneath this novel causing a sense of urgency where there shouldn’t be one. I did grow to enjoy the book towards the middle. Some of the chapters I really enjoyed were: Immediately, Frigidly, and Naturally. When I finished, I felt unsatisfied. I feel like this book deserves a re-read in the hopes that I may like it more not expecting a typical story progression. What started as a span of 100 consecutive nights of reading soon became a streak that spanned almost 8 years. In this memoir, Alice Ozma recounts her memories of growing up with her father using their reading streak as a backdrop to the stories. The title of this book is a LIE. A big fat LIE. 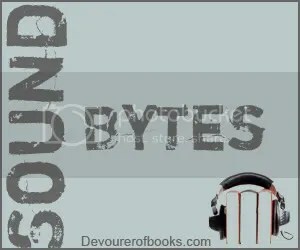 I picked up this audio book with the impression that the stories would center around the books they read together. Their thoughts on the books, or how the books had an effect on their lives. Instead, all I got were touching, and nostalgic memories of growing up with a single father who tried his best to raise his highly precocious daughter. Other times, the stories and the moments Alice and her father shared were touching; the day Alice’s mother moved out of the house, the day her sister went abroad to Germany for a year, the day she got a C in English class, her car accident, the last day of their streak. The reading streak did help the pair broach topics and get through life’s scenarios that would have otherwise been awkward for a single father of a teenage girl. The love and commitment the two put into the streak is admirable. Ozma read the book, and her reading is really what kept me going. I might have put the book aside otherwise. Alice’s voice is youthful, and she and she paces the reading really well. I think her dad taught her well in that respect. I think the entire concept of their reading streak is fantastic. As a bibliophile & as a children’s librarian. It’s incredibly important for parents to read with and to their children. It fosters a love of literature, creativity, reading comprehension and analytical thought. I would love to start a tradition like this with my kids. Although I never read with my parents, they did always make a point to take me to the library every week to feed my reading addiction, and they encouraged and supported my love of reading in other ways. Most people have first learned about Helen Keller when their elementary school teacher played The Miracle Worker one day in class. 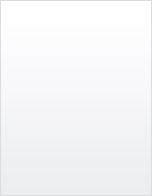 That was when I first learned about Helen Keller. Although, to be honest, I didn’t know much about her other than what was represented in the movie. I knew that although she was both deaf and blind, she learned how to use sign-language to communicate with people in her life. Reading The Story of My Life was a very inspirational and eye-opening experience for me. Although its only a brief 152 pages, I really took my time with this book, trying to value and understand the struggles she went to educate herself. I was amazed to learn that in the course of her life, Helen Keller taught herself French, German and Latin. She even learned to use her vocal chords to speak and went to college at Radcliffe. For all of her obstacles, to be so well accomplished is amazing and also shaming, I think, on today’s society. We have so much knowledge within a touch of a button, but who really strives to educate themselves anymore? How many people try to learn something new after the required four years of college. Often, when I would tell people that I get bored because of the free time I have due to working part-time, I hear a resounding chorus of “Find another job!” Granted, I already work 2 part-time jobs, so taking on a third just seems greedy. No one suggests learning just for the sake of learning. I’m bored because my friends all work during my off-days. I’m bored, because there is a missing stimuli in my life and I don’t have anyone with which to enjoy an intelligent conversation on those days. This year, since coming back from Europe, I’ve really made an honest effort to learn French and I’m actually doing pretty OK (reading & writing at least. My accent en Francaise is just terrible). I can’t begin to tell you how many weird looks I get from all sorts of people when I tell them that I’m learning French for fun. The whole idea of “If it’s not for work, then what’s the point of learning” seems like the wrong motivation for education. If Helen Keller can learn to read and write in three languages, why shouldn’t I be able to accomplish something similar? I have learned many things I should never have known had I not tried the experiment. One of them is the precious science of patience, which teaches us that we should take our education as we take a walk in the country, leisurely, our minds hospitably open to impressions of every sort. Such knowledge floods the soul unseen with a soundless tidal wave of deepening thought. This book is a great autobiography for kids doing reports, its great for adults who feel in a funk and need some motivation to accomplish a dream or goal that keeps getting postponed. Izzy, a young woman who owns the knitting shop in the New England coastal town of Sea Harbor is shaken by the death of Angie, the young woman renting the upstairs apartment. Izzy and her close friends, the knitting circle, put their heads together to figure out who killed Angie and why. They get more than they bargained for as the story progresses. As far cosy/themed mysteries go, this one was pretty decent. I love Goldenbaum’s descriptions of the town, I could almost smell the ocean air. Also, the author’s love for knitting and needles crafts is evident as it was weaved throughout the novel. The story itself was interesting. Somewhere in the middle it just stalled, like when the battery of your car dies and you can’t start the car. Scenes, descriptions and the people felt repetitive and the purple prose was a little on the heavy side. There wasn’t much character development, and most of the characters fell into the typical character stereotypes: The dashing young man; the dashing young man with anger management issues; the feisty older women; the feisty young women; the conservative ball-busting women climbing to the top of the political ladder; and the town cuckoo. There were plenty of plot twists, and all my predictions of who the murderer was were wrong. All the clues were there in the book to piece it together though. It was a little awkward in how the sleuthing worked in this book. There wasn’t a single designated character who tried to solve the mystery. I think that helped create more of a “who did it” atmosphere, especially towards the end. This book isn’t as formulaic as the typical cosy mysteries, and I might eventually read the other books in the Seaside Knitters Mysteries. If anything, it did make me wish I had my own weekly knitting group, and all the paragraphs on yarn did finally get me to start knitting again this winter. Why We Buy is an in-depth look at consumerism in retail stores in the United States. CEO Paco Underhill takes us through various incidents, and experiences of hundreds of hours of field research in: shopping malls, bookstores, department stores, etc, to answer the simple question of how to make shopping easier for the consumer. I really felt jipped by this book. Rick Adamson did a wonderful job narrating the book, bringing in a very upbeat and energetic tone of voice. Although it was informative, albeit somewhat outdated, I felt that this book should really have been called “How to Sell.” I didn’t really find out why we buy, just how retailers make it easier for us to buy. In my mind, those are two different concepts. The book was written in 2000, and it was sort of eerie listening to Underhill prophesize the future of certain industries. He was correct in that self-check machines would soon appear everywhere, but he was wrong about a number of things. Namely how the Internet would play a role in consumerism. I think the entire section on Internet can be skipped. There is a 2008 revised edition of Why We By that focuses on the influence of the Internet, and I think that would be a more appropriate read. I was also somewhat put-off that the shopper was always a “she” and that “she” would veer towards certain products. Health & fitness, cooking and parenting books are all “female” topics. It felt sexist to me, and that was discouraging as a female listener. I don’t want to be typecast just because I’m female, and its somewhat disturbing that major retailers would view genders in that way. Perhaps the creepiest element of the book is right in the beginning when Underhill discusses the “trackers” he employees to gauge a shop’s accessibility and levels of accommodation towards its customers. It’s like a stalker 101 guide. The trackers will pick one shopper and follow them around the store, taking careful notes of what they look at, how long they look at an object, if they touch the object, how many times they touch and object, etc. Despite all the flaws, I still found myself inspecting all the shops I walked into while listening to this book. It does raise awareness that retailers do go out of their way to sell certain goods and that the placement of each and every object in a store is carefully considered. Not much of the information was new or shocking, but I am curious as to what new strategies Underhill has uncovered and written about in the 2008 updated version of Why We Buy. November has been a busy month for me. Lots of random selections too I might add. 10 books completed in total. I’ve been busy reading a slew of children’s books for my blog @ Librarians Crossing (shameless plug, I know). Sometimes a person just needs a good picture book as a reminder for why reading is fun. At least this month I am not behind or ahead on my reviews. What I’ve read is basically what you’ve seen, minus 1 title. Go me!